Nineteen films from 17 European countries will be shown for free and uncensored in Cine Europa 14 from September 9 – 18 while in Cebu from September 30 – 02 October. Ever wonder why uncensored? 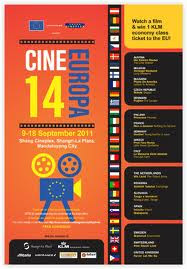 You may read GMA News Cine Europa 14 to showcase uncensored films. To check the list of movie schedule, you may click here. Seats are on a first come, first-served basis.